There are thousands of books, talks, articles and ideas on how to have a successful meeting, all well and good (see my article on Making A Good First Impression. ), but I haven’t seen much on preparing for the meeting itself. Which in my opinion, is just as if not more important than the meeting itself. Since I work from home, most of my meetings are done at my remote office. Panera. Which makes it interesting and unpractical for most in the corporate world who are used to meetings in an office, but none the less, the preparation for a successful meeting is the same. And for the sake of this article, I’ll be focusing on preparing for a sales meeting. Not a meeting for project management or production which can look very different. 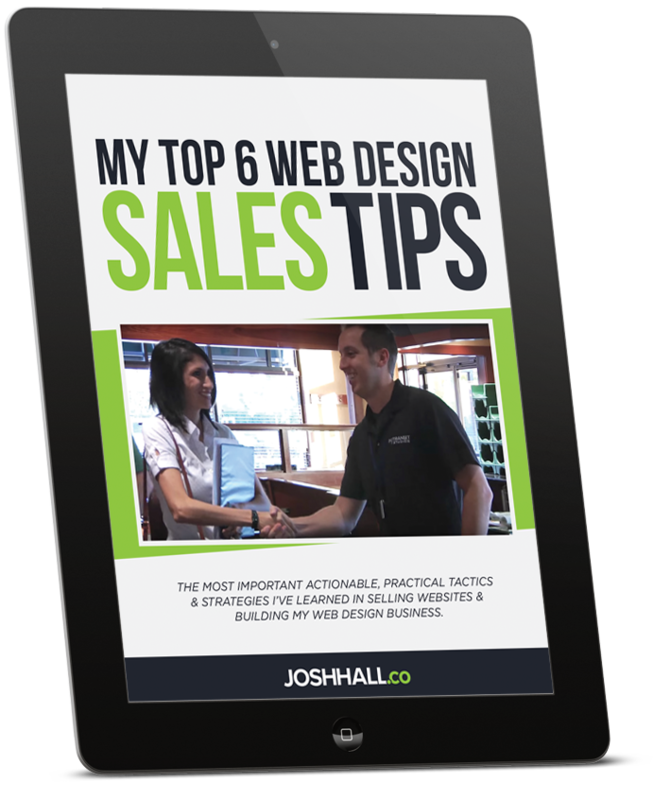 When I meet with a potential client for the first time, whether for a website design or potential project, I have a pretty disciplined system that I try to follow. Things that I’ve learned over the years after many successful, and unsuccessful meetings. Here are 8 keys in preparing for a successful meeting. You have to do your research. Some might call that “homework” but I can tell you this, there’s no better sell for a potential client than when they see that you’ve intently researched their service and product or better yet, researched their competition. 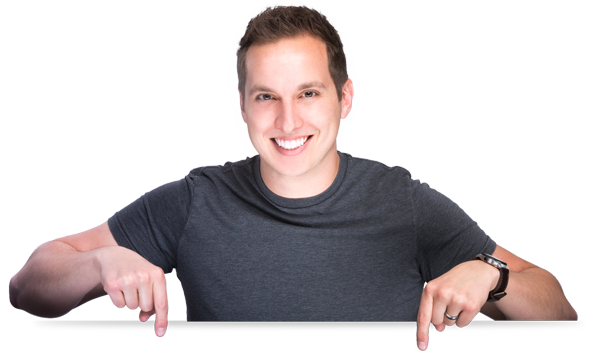 If I have a meeting with say a Chiropractor, I’ll research their competition and share my ideas on where they stack up next to them and clearly state that my objective is to blow their competition out of the water. You can never be too prepared when it comes to knowing your potential client. On a potential client’s website or material, if you can spot any misspellings, incorrect information or changes that need to be made, that’s always a plus too. It shows that you took the time to go through their information and cared about bringing up something that should be corrected. If you’re using Mac, you can set an event up and send a calendar invite to your client. You can do similar features with gmail and several programs out there. I recommend setting up a calendar event/invite for every meeting big or small. There’s no better way for you to keep track of your schedule and to force your client to put it in their schedule as well. It also makes you look super professional. Regardless, preparing for a meeting starts with getting it in the books! Here’s a great way to show that you’re a passionate, go getter – email your client the day before the meeting. Chances are, they have it in their calendar and they’ll remember, but that’s not always the case. I’ve been stood up numerous times. Though I don’t take the blame on that, I’ve certainly learned to do a better job of reminding leading up to a meeting. There’s also no better way to show that you care and are preparing for a meeting then to send a quick note the day before. Something like; “Hey Client, just checking in to make sure we’re still on for the meeting tomorrow at 11a! Looking forward to it.” It can be that simple and it can go a long way. If you happen to be one of the few poor souls left who doesn’t have a smart phone, you can map quest your destination. Although, most of the world should be able to use their map app to use as a GPS. Here’s a tip: Map it out the night before! Don’t check out your destination the morning of and realize that it’s not where you thought it was. Don’t put it in your map at 8:30a when you have a 9a meeting. Plan your route and account for traffic or whatever could happen when on the way for a meeting. Know your client’s number or email before heading out! If something happens on your way to a meeting, make sure you can quickly contact your client to let them know. There’s nothing worse than somebody waiting on you and hearing nothing. Having email is good but a number is even better. You shouldn’t be texting and driving and emailing and driving is just as bad!! If you’re stuck because of an accident or slow moving traffic, having a number to call is critical. So get all your ducks in a row and have their information ready incase you need to contact them on the way. Preparation for a meeting starts the day or night before. Rest is critical for any aspect of life and is even more so critical if you’re going to have a successful meeting! Get to bed at a decent time and go into that thing fresh, primed and ready! Take a shower, comb that hair, get dressed and feel good about yourself before a meeting. If you’re not feeling good about yourself, your not going to have a good meeting. It’s science. There’s nothing worse than showing up to a meeting feeling unprepared and looking like you just rolled out of bed. The more put together you come across, the better chances of selling your product or service. This is an area that I’ve recently started working on. Literally preparing my voice before a meeting or talking to people, especially if it’s an AM meeting. There’s nothing – and I mean nothing worse than opening your mouth at a meeting or on a call and squeaking like a seal because you haven’t activated your voice yet. There are a variety of voice exercises you can do, but I just try to clear my throat, go from a high to low register and try to say a variety of words. This is all in the car of course, I don’t want my wife thinking I’m having an aneurysm as I’m getting ready in the bathroom. But seriously, preparing your voice before a meeting will get rid of any grogginess and make you feel more confident in your speech. Here’s a pretty cool talk on how to speak better. 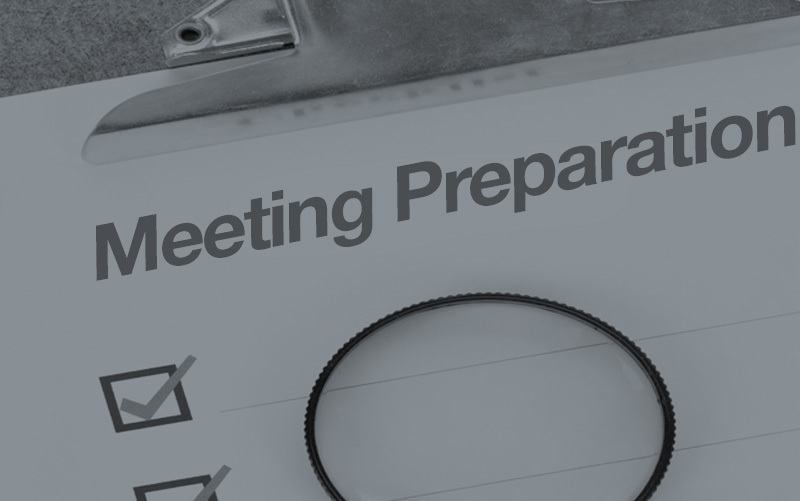 So there are some helpful tips on preparing for a successful meeting. Again, the meeting is only half the battle. The lead up is JUST as important. Hope these get you thinking and improve all your meetings moving forward!